1. Hi there, how are you? We are fine. We didn’t have a studio running for a while and as a result we haven't been able to produce music, so we have been concentrating on work for a while and free time, gathering ideas for new music. We work with audio on an everyday basis anyway, so it's not like we don't get any music in our heads. 2. 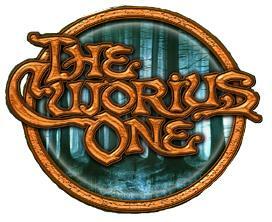 Can you tell me who stands behind the name Cujorius One? Cujorius One is a mix of a lot of people. It started as one guy, then two guys, then three, then back to two and so on. Currently we are Cujo making music, with influences from the other two guys, Barney and Nicholas, but they are not part of the regular team. We all live in the centre of the wonderful city of Copenhagen, where we were also born. Cujo is 26, and turns 27 the summer of 2008. Barney is 27 and so is Nicholas. 3. When did you first get in touch with electronic music and how did you discover the trance scene? Electronic music came into our lives early, with the prodigy, chemical brothers, and other bigbeat, drum'n'bass & techno names of the 90's. We were all around 12 years old when we first started listening to it, but it was not until we were 15-16 that we started making noises ourselves. We really started playing when we were around 18, in the year 2000. Before that, in the late 1990's we only had a few DJ gigs, and didn't really play around. 4. How long have you been producing music? And what kind of equipment are you using in production? We changed the studio a lot. Before we had a huge mixing console, a ton of synths, racked up and packed with midi cables and tons of send effects. Then we went into a very minimal studio, with a computer and a soundcard, and now we sort of went back to a mix of the two. Computer, with a great soundcard - a few synths, nord lead2, korg ms2000, ATC-1, and a few send effects to work with in a patch bay. 5. Your second album has recently come out and I must admit that you have a unique style (that I prefer :). Are you satisfied with it? It was actually the third album, but the first real one never made the stores, as it was to be published at the time when NovaTekk GmBH went broke. But the new album "The Art Of MindFucking", is very experimental. We are glad that people say it's unique, but we also have the same feeling as a lot of people have commented about it, that either it's brilliant or not really good. We have had huge arguments, weather we are satisfied or not about it, as many of the tracks are very maxed out, very techy and more electronically inspired than actually having the trance groove that is sort of essential. Our next album "London - Paris - Hangover - New York" will be more of the older style, a bit more downtempo, with a ton of details, and really hard rocking beats. 6. How long did it take for you to finish your album? The art of mindfucking, took from track 1 to the final track, approx 2 years to produce. But since the release of the previous album, it was on paper for only 1½ year. We could have worked later, but there was a lot of private business in between to ruin everything. 7. What is the basic thing that motivates you to create music? Love, Anger, Love, Lust, the will to create, the fascination of making something that comes out of the speakers and the fact that other people than ourselves actually listen to it. 8. What are your plans for future? Maybe some collaboration, or an album, or a compilation? We are going to work on our own new album, but a collaboration would be good, but we don't really know with who? Usually we have a big problem finding labels for our tracks to be released on compilations, so don't count on that. 9. Can you describe the scene in Denmark? And what do you think about the trance scene in general? Is it going in right direction or has it gone too much mainstream in your opinion? The scene in Denmark has had the "all over the world" full-on infection for a few years, it's getting back to progressive, but full-on will live forever we think. It has changed a lot, only a few people were running the scene after the real underground scene disappeared a few years back and some of them have been unlucky and private things have interfered with them being able to run it fully, but the scene is getting back to good health again. 10. How do you see the future of trance music? A few years back, everybody said it was dead, now it's again live and kicking, and I think that trance will come and go. Though we wouldn't mind seeing a bit more techno and other genres come through and are recognised, so that people don't always listen to one style which usually kills the style after a while. 11. What are your interests outside of music? Sounds? haha. We all work as audio technicians on a freelance base. Varies from regular sound technician work in a studio with rock bands, but we also do sounds and sound designing for films and videogames. Lately a few cartoons went through the production. Guess we are stuck with this business. The stolen Synth came back, after a few discussions and we just sort of forgot about the whole thing, as it was just a stupid mistake and misunderstanding. We had a lot of problems with labels, and also been unlucky with a few situations, and also haven't been bad ourselves to stand up to the challenge of getting angry. We are not too good at that. No names shall be mentioned, but we experienced labels closing, bankruptcy, denial of contract, never sending money, etc. etc. 14. What are some of the artists you are listening to at the moment? We always listen a lot to Autechre, but lately we have been listening to a lot of Drum'n'bass, especially the Anatomy album from Calyx Vs. TeeBee! ROCK ON!!!!! 15. Anything you want to add?